Presented by Jazz North East and Jazz.Coop at the Globe in association with Tyneside Irish Festival 2018. 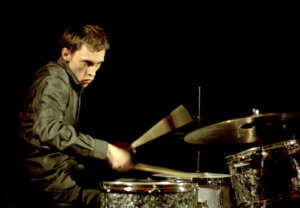 One of Ireland’s most celebrated jazz musicians, MOBO Award and Urban Music Award nominated drummer/composer David Lyttle has performed in over 20 countries, including recent high-profile artist residencies in China and the US. Growing up in a prominent musical family in Co Armagh, David has gone on to collaborate with global icons of jazz and hip hop, from Joe Lovano and Jason Rebello to Talib Kweli and Soweto Kinch. His new trio features UK-based jazz stars Steve Hamilton (piano) and Michael Janisch (bass).